Hafele introduced a collection of barn door hardware with soft-close capabilities at the 2019 Kitchen & Bath Industry Show. 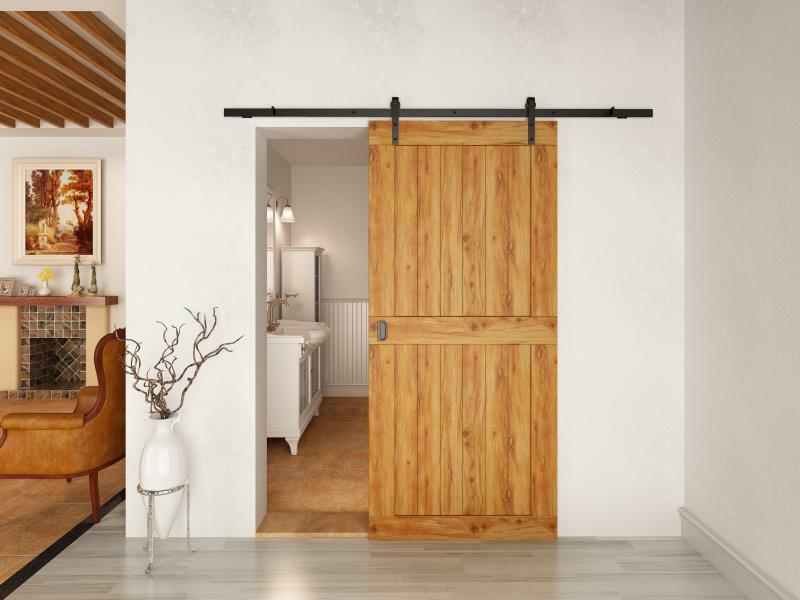 Designed and engineered by Hafele, the Slido barn door hardware comes with an optional soft close mechanism that can be placed on both the opening and closing ends of the tracks to reduce slamming. All hardware in the series is made from steel and accommodates a wooden door up to 220 pounds. Door dimensions cannot exceed a 108-inch height or 48-inch width, and should be between 1 ⅜-inches and 1 ¾-inches thick. Two hardware styles are available: The BD100 and BD200 hardware hangs over the wooden door, while the BD110 and BD210 attached flush with the top of the door. BD100 and 110 are available with a brown or black finish, and the BD200 and 210 are available with a matte stainless steel finish.